Casumo was founded in 2012 with the aim, in the sites own words, to help erase boredom! The site certainly seems pretty comprehensive with lots going on. Asides having longevity that proves Casumo is an established and legitimate casino site, there is even a ‘work’ page that features several job openings, further proof that this online casino company is going places. One definite favourable trait of this casino site is the fact users can login and play games on multiple devices. As well as playing the likes of slot machines and classic casino from your PC you can pick up from where you left off and play on the go from mobiles, tablets and Macs. 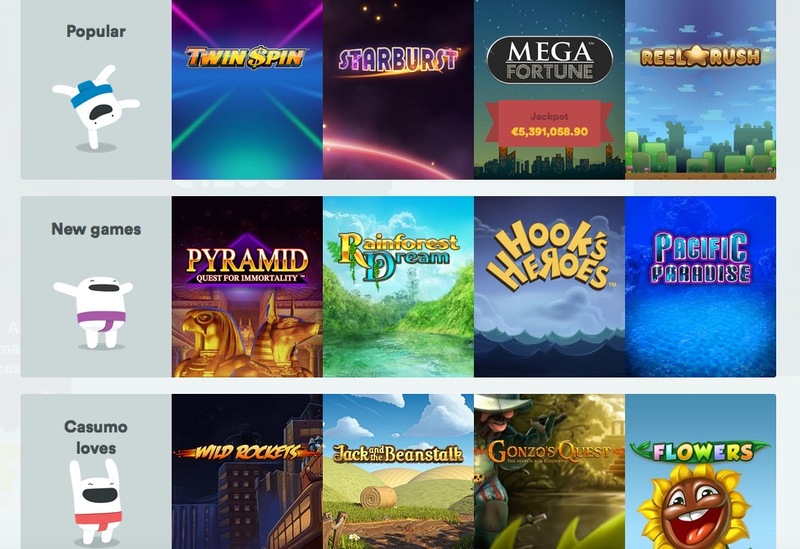 For slots lovers, there’s definitely plenty of choice on Casumo. In fact there’s hundreds of different slot machines to test your luck with, From Black Knight II to Zeus, Lucky 5 Reeler to Cashino, the slot machines on this casino site certainly cater for a diverse range of tastes and abilities. For those looking to play classic casino games online, you’re also in the right place. 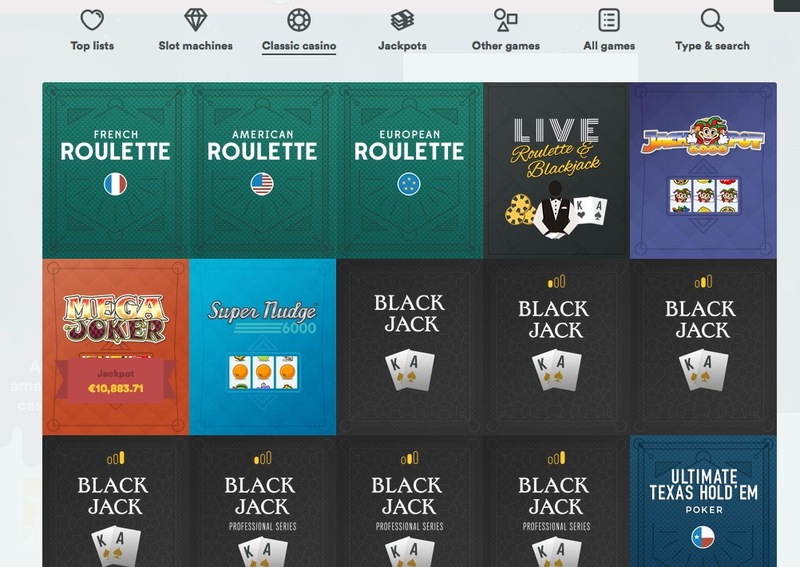 On Casumo you can try your hand at all the leading games, such as European Roulette, Live Roulette and Blackjack, French Roulette, Blackjack and Mega Joker. For players wanting to hit the big time when they play casino online, Casumo has a fairly comprehensive range of Jackpots available, which we have to admit, could turn you into a millionaire overnight. For example, play Mega Fortune and you could win more than £3 million, a sum that rises as you sit looking at it! Other smaller jackpots are available to win, such as more than £13 million on Caribbean Stud Poker. There are plenty of other games available to play on Casumo, so much so in fact that deciding which one to play is a mission in itself! In fact so confident is this casino site that it will have the game you are looking for that it even has a ‘type and search’ facility, in which users enter the game or game provider they are looking for and the site searches for it – a feature that isn’t available on many casino sites and one that definitely makes searching for games easier.